Carries up to 2 bikes. 40lb (65kg) load capacity. Rear hitch mounted, fits all 2 inch receivers. Easy to install, tools included. 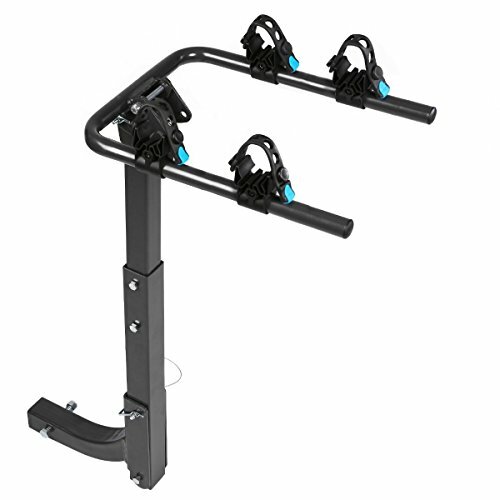 Adjustable cradles with rubberized pads to protect the finish on your bikes. Folding arms and rack allow easy access to rear of vehicle. Constructed from heavy duty steel powder coated in black, providing protection against rust and corrosion. If you have any questions about this product by Galaxy Auto, contact us by completing and submitting the form below. If you are looking for a specif part number, please include it with your message.